My wonderful sister bought some cute clothes for my little girl for school. Of course they are the cutest clothes (purchased at a garage sale) and are perfect for my little girl's taste. My sister is so absolutely amazing, so of course we wanted to make a card for her to thank her for all of the clothes. Thanks so much Tammy!!! This card was made using Paper Doll Dress Up. You may have seen on a previous post that I won the October 31 cartridge! YEAH ME!!!! Thanks to Rosy with Sweet Delights Paper & More. This is a card I made for Rosy just thanking her for 'opening the gates of creativity' with this new cart. Thanks again Rosy!!!! Erin Lee Creative is putting on a challenge to create something Halloween-ish. :) I have wanted to make something cute for my little girl's Kindergarten class for Halloween (I know - it's a little early). I found the little baggies at a local store for only $2 and it had 100 in a pack. It didn't turn out the way I had originally planned - you can see my mistake in the white under the black 'Boo'. Unfortunately I don't have any Halloween stamps, so I just wrote on it. I thought that the little spider was cute. :) I also wanted to keep it simple since I will be making quite a few of them. Thanks for stopping by! For this one I cut the spider web using October 31, and the spider is from Paper Doll Dress Up. I inked the outside of the spider and drew the eyes (since I don't own any Peachy Keen stamps yet either). Robyn with My Pink Stamper is having a challenge to make a Winter item (card, layout, etc.) with your Cricut. Well, I was looking through my carts and decided to use 'When it's Cold Outside'. I purchased 'When it's Cold Outside' cartridge last year, and didn't use it a lot. I figured I would try using it again. I'm not a huge fan of this cart (too many little cuts). I cut the snowflake at 5.5, but it still had small cuts. It's not too bad, but it's just OK. Well, I like how the card turned out. One of my favorite phrases is 'Believe' **thank you Polar Express**. I just thought it fit perfectly. Thanks for stopping by. The paper is from a grab bag I picked up at Big Lots, and the snowflake was from When it's Cold Outside. The blue paper was just a scrap and to be honest I have no idea were the blue ribbon came from (it was in my scrap ribbon pile). Thanks again for stopping by! This card was made using the Basketball cartridge *thanks Michelle*, and I'm not sure where the paper is from - sorry! Well my dear parents and siblings sent my little boy a birthday present. I try to make sure that my children know that it is common curtesy to send a thank you card or note any time they receive anything like a gift or just because. I asked my little boy what type of card he wanted to send his Grandparents, he said he wanted a dinosaur. With that in mind I came up with this card. I used Accent Essentials for the frame and Paper Doll Dress Up for the dino. I used the 'Hide Contour' feature for the dino and welded it to the frame and then cut a seperate dino and ran that through the cuddlebug. The font was Cuttin' Up and of course I welded the letters together too. Thanks for looking!!!! First I have to apologize! It's been a while since I've posted a card or any other project. Between family visiting, getting my oldest ready for school, and scouting for deer (we love to hunt) I haven't been able to make many cards. So - I'm sorry it's been so long!!!! Second - CARD!!! I had a meeting to go to and my DH was at work so I asked one of the ladies in my area if she would watch my little ones for a bit. My kids love her and her family and she was graceful enough to watch them (she even let them go for a ride with her DH on a combine). So, I gave her a loaf of banana bread and this card. She loved it and her boys at all of the banana bread - so that was a big hit. Thanks again Terri!!!!!!!! I had to share this. We always have a few deer hanging around, but they don't usually come near the house until after dark. We were out and about the other day and saw this little guy in our neighbors' yard. He's not the biggest thing, but it was so much fun to see him! I got a little too close for his comfort, so he ran into the field. Isn't that fun? I love living in farming country! I can't believe my luck!!!!! Since I lost my job a few weeks ago I have been searching blogland for ideas to keep me busy. While blog surfing I found Rosy with Sweet Delight Paper & More. She's only been up and running for about a month but has already hit 200 followers (you know she's creative). Well, she did blog candy for hitting 200 and I WON!!! She was giving away the October 31 cart!!! I can't believe it!!! I LOVE Halloween!!! It is my favorite holiday and I have wanted this cart!! I literally screamed I was so excited (seriously - my kids came in to see why I was screaming)!!!!! Rosy - Thank you, Thank you, Thank you!!!!!!!!!!!! I feel so blessed and honored!!!!!!! I LOVE the Throwback Thursday Challenge, it is held by Emma over at My Creative Time. 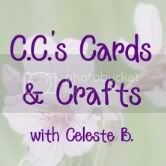 She challenges crafters to use an older cart and go with the theme. This week the challenge was to use the Paisley cartridge and to use a "Back to School" theme. Well, I don't have Paisley (although it's on my very long wish list), so I just used the Plantin Schoolbook and Hannah Montana carts. The card is for my little girl, she gets to go to Kindergarten this year (and she is so excited)!!! She is our oldest so this is a first for my DH and I; we'll see how her younger brother copes with her being gone (they're best buds). I wanted to make her first day of school extra special for her; knowing how much she loves cards, I know she'll love it!!! I loved making it for her!!! The font is from Hannah Montana and the apple is from Plantin Schoolbook. The apple is actually a spinner (two pennies separated by a pop dot). I've seen a few of these around, sorry I can't pin-point the one site that I found it on. If it was from your site, just let me know because I'd love to give you credit!! Thanks for stopping by!! I helped some of the ladies in my area with these wooden blocks. We had a great time, although it was a lot of work. Most of the ladies made it so that each block just had one letter, I cheated and made it so that the word 'Family' fit onto one block. I loved helping the ladies do this, they really seemed to enjoy themselves. Well, this is my creation. The picture didn't turn out the best, but you can still get the idea. I used scrap patterned paper for the background. I inked the edges and modge podged it to the block. 'Family' is cut from Gypsy Wanderings. I really liked it!! Thanks for looking! My DH's side of the family has a reunion this weekend. I love it because they do an auction to earn money for the next year; and it's always so much fun!!! Well this year I made a bunch of cards, a perpetual calendar (I didn't take pics, but I'm making one for me so you'll see it), and this tile with a cute saying. I really liked it, so I thought maybe someone else would. I used Cuttin' Up for the font; the corners were from Home Accents. I used My World (classmate) cart for the house and the heart is from Plantin Schoolbook. I really like how it turned out, I hope you do to. Thanks for stopping by!! Yes, these are my beautiful little loves!!!! One of the ladies that I visit just had a little boy (I get a little baby hungry)!! I'm so happy for her, she's such a sweet lady so I knew I had to make a card for her and her new little guy. Sorry about the picture - I'm working on getting a light box to help with the pictures. Baby Blessings Amanda!!!! I used Wild Card for the sentiment and the rattle is from Cuttin' Up. Thanks for looking!!!! If you'd like to win some cute stamps (LOVE THEM) check out Pink Cricut! You'd better hurry though!!!! YEAH, my luck may be changing! Well, all I can say is I'm ready for this!!!! With all of the trials and challenges that I have been given recently I was starting to get down. I started to do my normal blog surfing and noticed that A.Go's Craftomonium had a new post. His creations are amazing so I immediately went to go see what he had that was new (seriously - I am so amazed by his talent)!! So I hopped on over and WOW!!!!! I CAN'T BELIEVE IT!!! He had a fun little fruit scrambler game last month and was giving away the preserves cart to the winner. Of course I love doing fun little games so I participated . . . and I WON!!!!! I'm still in shock!!! I can't wait to get the cart, it's been on my wish list!!! Thank you so much Albert!!!!! I can't tell you how excited I am!!!! !